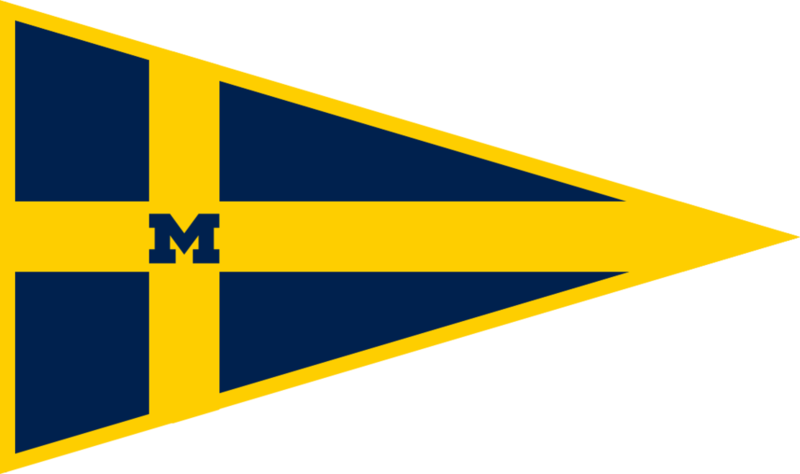 This past weekend, April 7-8, four Michigan sailors traveled to Ohio State University to compete in the 2018 Buckeye Interconference at Hoover Sailing Club. On Saturday, April 7, the Wolverines raced in three rotations, with the A fleet team finishing the day in first place and B fleet team in third place. Overall, the team was tied for second place at the end of the day. The wind was light and very shifty throughout the day with a maximum speed of about 8 knots. On Sunday, the sailors competed in two rotations. During the first rotation, the wind continued to shift dramatically, but there was slightly more pressure than on Saturday. The wind died out again in the second rotation. Overall, the Wolverines got third place, with the A fleet team (G. Glover and M. Moores) in first, B fleet (M. Ellsworth and K. Doyle) in fourth place.